Answer: Might sound strange but there is a growing body of work showing how helpful chiropractic is in reducing asthma. Athlete Asthma Sufferer Improves With Chiropractic! The #1 most common chronic disease in merry old England is asthma, with 3.5 million people affected including 1.3 million children. In the September ‘05 issue of Clinical Chiropractic, some case studies were reported from the University Of Surrey Chiropractic clinic. 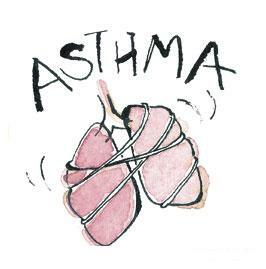 Each individual had suffered with asthma for years. The first was a 28-year-old athletic male who had been suffering from asthma since childhood. He was using an inhaler in the morning and night before bed. He then began a program of chiropractic care. The outcome? A few weeks into care he felt so good that one night he forgot to use his inhaler. He reported that he suffered no ill-effects and had a “great night’s sleep”. From that point forward he did not use his inhaler & was extremely pleased with the results. The next case was a 56-year-old woman who had been diagnosed with asthma 5 years previously. Her main symptoms were chest tightness and coughing. After just 2 weeks of chiropractic care, she reported feeling “much better within herself”. She reported that she found it much easier to breathe with less coughing. Additionally she also reported feeling less tired, and had also noticed that her dry skin had apparently also shown dramatic improvement. “I knew this treatment was having an effect as I could feel the changes happening.” The report noted that “the mechanism by which chiropractic is thought to affect asthma is based upon the proposition that spinal adjustment can modify autonomic nervous system”. If you or someone you love has asthma, consider chiropractic care.